In the logistics hub of Cosmétique Active International (CAI), a division of L’Oréal Group, some of the annual stock-taking activities will soon be performed by an unmanned aerial vehicle (‘drone’) following CAI’s implementation of Hardis Group’s Eyesee warehouse solution. 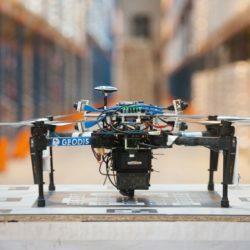 L’Oréal plans to deploy the inventory drone to count the stock in the warehouse of its logistics hub in Vichy, France, where all the finished products for the La Roche-Posay, Vichy, Sanoflore, Roger&Gallet SkinCeuticals and CeraVe brands are stored before being dispatched to the company’s 50 subsidiaries around the world. So far, the logistics hub – which has storage capacity for 25,000 pallets – has used a dozen aerial work platforms (AWPs or ‘cherry pickers’) for each inventory count. 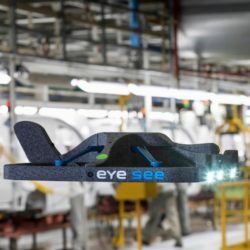 The implementation of the Eyesee inventory drone solution is expected to considerably improve the stock-counting efficiency. Tests have shown that inventory can be counted three times faster than before when this solution is used in combination with standardized labelling and uniform pallet categorization. Moreover, the inventory drone can reach all areas of the warehouse easily, which is beneficial from the perspective of operator safety and ergonomics. “With this new solution, we’ll no longer have to close down the hub for three days to complete the annual inventory. 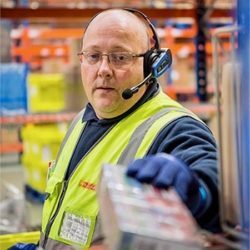 What’s more, we’ll be able to better serve our customers while the inventory is happening, with no safety concerns,” states Guillaume Bosselin, Logistics Hub Director. 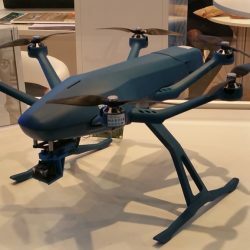 L’Oréal’s move underlines the growing interest in the use of drones for warehouse applications. 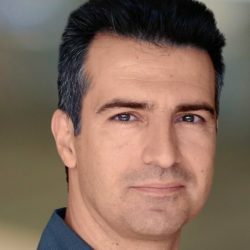 The multinational is following in the footsteps of companies such as Henkel and Koopman, and Geodis and Walmart have previously conducted trials.